Smart is the new trend. Smartphones, tablets, smart gadgets are the demand of the generation. We have now reached the stage where we have multi- functional, compact gadgets and also highly efficient robots. With the smart technology at hand, it has become a tendency to expect a life that is much more organized, highly efficient and automated. This has opened the gates to a new field of home automation. Till now many devices have come up promising you a customized home automation options but none of them promise the wonders of Notion’s Smart Sensors for your complete home automation. Loop Labs, Notion’s makers, are building a HomeKit-compatible network of sensors that can be positioned around your home in order to detect a variety of domestic events from doors and windows opening and closing, to lights being left on, to a smoke alarm sounding, to your washing machine springing a leak, your fridge losing its cool. With Notion, you can know things like how full a propane tank is, when your child returns from school, the second there is a water leak, if a gun safe has been accessed and much more. Notion was designed to make you aware of what’s happening with your home and your family, with minimal effort from you. Notion looks great, but also be inconspicuous. The small size allows you to put sensors anywhere you can think of without concern that they’ll get in the way. Each self-contained Notion unit contains a sensor for light, acceleration, orientation, temperature, natural frequency, proximity, and moisture. It’s basically all the sensors from your smartphone crammed into a little plastic puck. Each notion connects to a hub that plugs into a wall outlet. The hub has a WiFi radio, which is how it connects to your home network and sends you alerts. 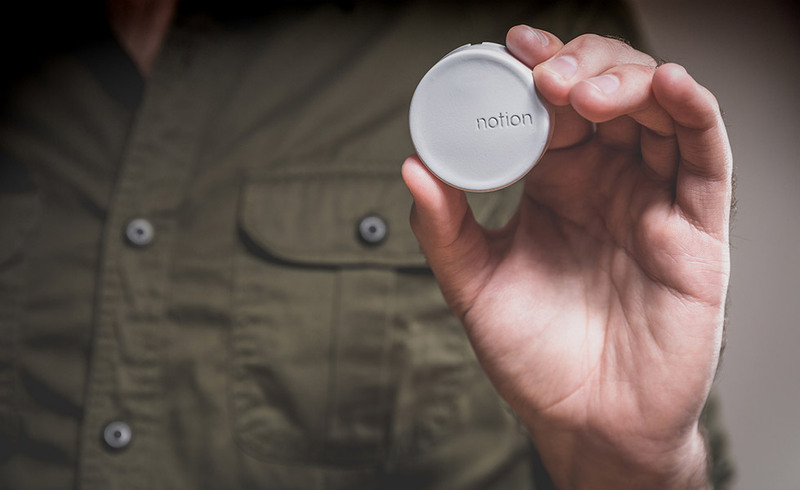 The Notion sensors have a battery that should last about two years and can be replaced by the user with standard coin cells. Notion has already received more than $134.000 from Kickstarter backers. There are 7 advanced sensors inside each Notion multi-function sensor. It has accelerometer that can tell you if your garage door is opened. In incorporates ambient light sensor which knows if lights have been left on when they shouldn’t be. It also has a gyroscope which measures if a door or window opens. Along with these it also has temperature sensor can tell you if your HVAC system is down by detecting if the temperature of your house is getting too hot or cold. It also has piezoelectric transducer which measures natural frequency and tells you things like how full a propane tank is or if a smoke alarm is going off. In addition to all these amazing features it also has a proximity sensor that will alert you if a gun safe is opened and water leak probes instantly alerts you the second there is a leak. 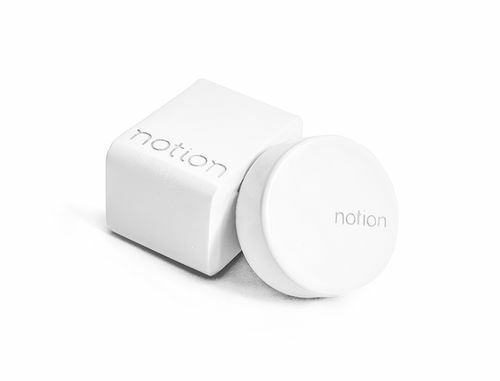 In short, Notion’s Smart sensors are a complete indivisible packages. It has absolutely left no space for specifying an area of concern or any other feature that a completely automated home might require.